The iPad makes an incredible entertainment device. It is a very portable alternative for your viewing pleasures; it is no doubt that Time Warner and Cablevision are swinging all bats at the content providers to make their content viewable on the iPad. Others companies, like Netflix and the ABC Network (makers of the ABC Player app) have realized this from the beginning. The truth of the matter is that I typically watch programs that others (my wife or kids) want to watch on out family television. On the bedroom TV, I seldom watch anything for too long, because I will out like a light before a program can finish. But on the iPad I watch 100% of what I want to watch. This makes the iPad my preferred method for watching content. So I have begun to examine other sources of content for viewing on my iPad. Another company that realizes the power of Internet streaming content is Hulu. Founded in March 2007, Hulu is operated independently by a management team with offices in Los Angeles, New York, Chicago, Seattle and Beijing. NBCUniversal, News Corporation, The Walt Disney Company, Providence Equity Partners and the Hulu team share in the ownership stake of the company. How does Hulu make money? Hulu has two different products. 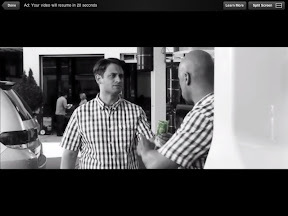 Hulu.com is a free online service for consumers that generates revenue from advertising sales. Ad revenue comes from the ad impressions generated from Hulu.com, from video streams, from our distribution partners’ websites and from the embeddable Hulu video player. Hulu Plus is an ad-supported subscription service which allows our customers to watch Hulu content in other devices beyond the PC, including Internet-connected TVs, gaming consoles, set-top boxes, mobile phones and tablets. Hulu has an iPad app called the Hulu Plus for iPad (They hae an iPhone app). Hulu offers episodes of shows from ABC, Comedy Central, Fox, NBC, MTV and more. The interface is clean. It is well organized and has a search engine to find the shows you may not see from the lists. The main page is divided into four sections: Main, TV, Movies and Queue. All sections have filters that should help narrow the content down to a list that provides me with viewing options. Where are the genres? Why can't I filter by drama, comedy, horror, suspense, etc.? Hulu has to change it mindset from "Television Broadcasting" thinking; that is that you provide channels and people just tune in. The other side of the coin says "I have eyesballs that want to watch content" regardless of whether they know what content is available. So they have to make it so that people can find the content that they didn't even know existed. Think Amazon. They will tell you what other people bought that viewed the same item you are viewing now (just in case you might not be sold on what you are looking at now). Hulu needs this type of suggestions as well. The more ways to inform people of what can be watched, the more they will watch the content. No Genre filering is bad. Clearing Hulu knows it is important, they offer it on their web site. They have Related shows, so you can see a few similar themed shows. For the most part I like the app. 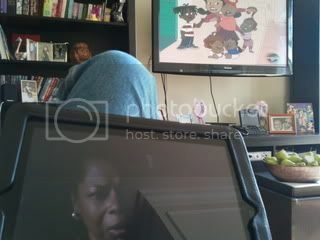 Even though I can watch some of the same shows fro free on the ABC Player, I can watch more of them through Hulu Plus. 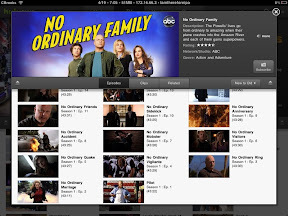 For example, I can watch "No Oridnary Family" on the ABC Player, but only the last few shows. On Hulu Plus, I can watch the whole season. Plus I can watch previous seasons of shows (This is the first season of "No Oridnary Family". This feature is a plus. The most glaring issues is no "resume play". I can be watching a TV show and then have to run off to my daugther's concert. When I return home, I want to resume the show from where I left off. If I am watching a show and is interrupted for any reason, the show will start over from the beginning when I try to resume the show. This is a HUGE problem. It is rare that I get to watch a full show without some type of interruption. I could tolerate this if this app was free, but no on a paid service. I don't want to have to skip and search for the spot where I ended viewing the content. Netflex offers this and this feature is expected for a paid streaming app. The content streams well. I only experienced a "buffering" issue a couple of times. It automatically adjusts the stream quality based on the bandwidth. Even though it is a paid service, there are commericals. About six commerical a show. The good thing is that the commercials are short (typically 30 seconds, but as long as 60 seconds) and only one at a time. On the ABC Player app, the commericals are typically stringed 3 commericals in a row. There is a learn more button that will provide additional information about the commercial's content when clicked. 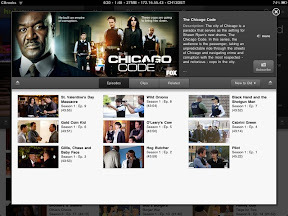 Movies and shows can be queued so that you can easily accessed when you want to watch the content. The screen can be split so that additional shows can be queued even while the current show is streaming. Hulu's goal is to provide as much content as possible and to keep it all on our service permanently. What videos we post and how long we're able to keep them on Hulu depends on streaming clearances granted by our content partners. We work with them constantly to try to secure more, and they've been great about reaching into their vaults on our behalf. In some cases, an episode or movie may expire from Hulu. Streaming clearances can be limited by any number of legal or business agreements that differ from video to video. An episode or movie may expire due to myriad reasons, including music clearances, impending DVD sales and syndication deals, among others. It's disappointing to us when a video must come down. As videos are the heart of our business, we're always working to continue to expand streaming clearances. So content could expire, so you may enjoy a show and then have it disappear. "Web Only" shows (No rights to stream to the iPad). The app is free, but have a $7.99 a month cost to view the content monthly. There is no commitment, you can end the service at any time. If you read the reviews in the App Store, you will see that many that there more one-star reviews than any other reviews. Most complaints are about the cost or connectivity. The cost is tough for anyone that was use to viewing the same content for free on e desktop/laptop browser. I pay for Netflix and it is better than paying for premium services like HBO or other paid subscription services. Connectivity is not anything that Hulu can do anything about, so this is a nonissue. When connectivity gets faster for more people, than those people show check it out again. I am seriously considering this subscription to my list of growing mobile content. The first two cons mentioned above should be resolved pretty quickly. The others will come as the content providers get on board and realize that broadcast and tradition on-demand viewing is dead. The content should be made available for viewing when the consumer wants to view it. Hulu Plus for iPad is a great start for making the "future of content viewing" available today.